You said you love me. There’s no other but me. 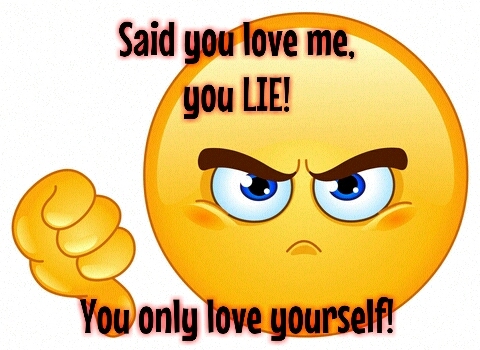 You lied! You’re in love with yourself, and you don’t even care about me. Those words above was really expressed by me, when I and my ex had a fight. I said it several times, since the problem we faced was always the same: taking me for granted. Next Next post: Get a Life? ?